This stack was completed in 1998. This stack has a spawling presence on a large right-of-way, high-flying ramps, and symmetric design. In other words: Near perfection! Looking west, with the EB BW8 feeder in the foreground. Looking west, with the WB BW8 feeder in the foreground. 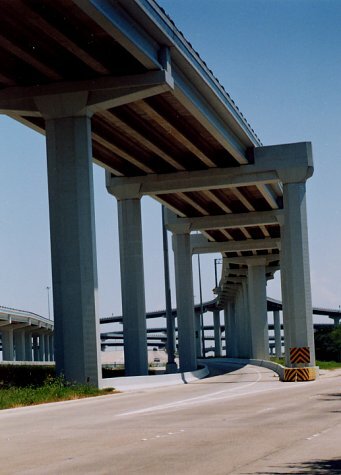 Looking west along the Beltway 8 main lanes. Looking east along the EB BW8 feeder. 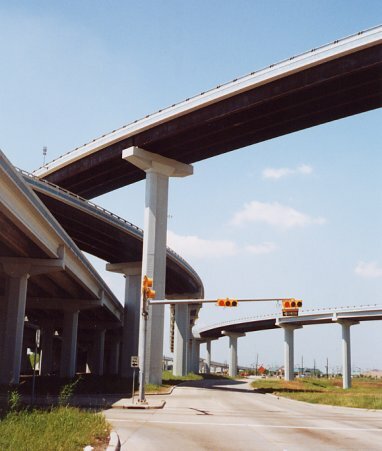 Like many of the other BW8 stacks, the ramps have long elevated sections leading to the interchanges.